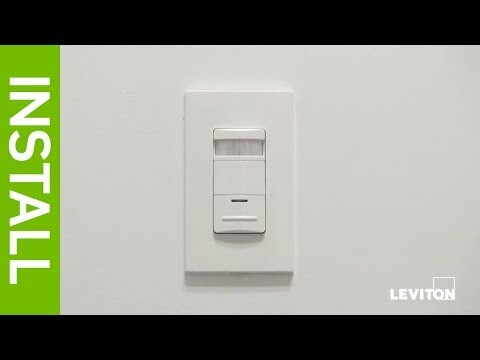 Leviton High bay occupancy sensor in white color, features PIR sensing technology with a microprocessor. This digital architecture reduces the possibility of false triggering of the sensor. The sensor is manufactured from injection molded plastic to withstand high impact. Fixture mountable sensor has an input voltage of 240/480-Volts AC at 50/60-Hz. This self-contained sensor mounts directly to industrial fluorescent luminaire or an electrical junction box which turns light ON or OFF depending on occupancy. Time delay for operation can be adjusted from 30 seconds - 20 mins. The output of the sensor is through relay and maximum load capacity for ballasts 800 VA at 120-Volt AC, 1200 VA at 277-Volt AC, 1500 VA at 347-Volt AC, 2000 VA at 480-Volt AC and for motor 1/4 hp at 120 Volt. Through field of view, sensor automatically calibrates the temperature of detection. The sensor returns to its last known state during loss of power with the help of latching relay. 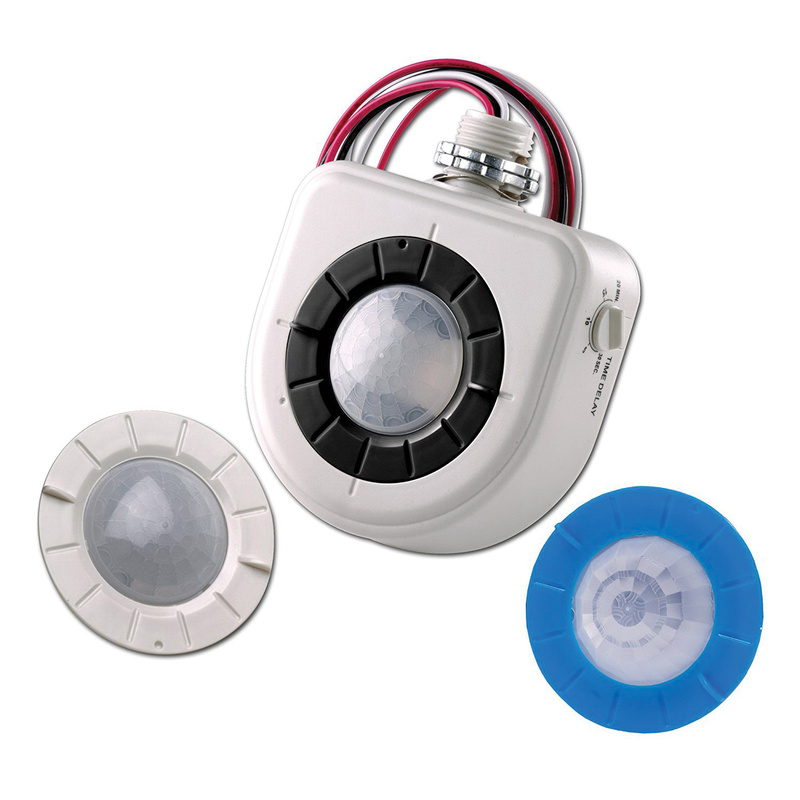 Sensor with wire lead terminal, is provided with bright LED which activates during true detection of occupancy. It is ideal for ware houses and high ceiling areas. The operating temperature of this sensor is -10 to 71 deg C with 20 - 90% non-condensing relative humidity. The dimension of this sensor is 3.50-Inch x 3.50-Inch x 1.25-Inch. Zero crossing circuitry of this sensor optimizes relay operation for long and durable operation. It includes two interchangeable lenses and aisle mask. Sensor is UL/cUL listed and Title 20/24 compliant.